This is a loaf I made today using my Pullman loaf-pan, which I haven't used in a while...named after a Pullman train car because of it's similar long and narrow shape (in french it is often referred to as pain de mie). 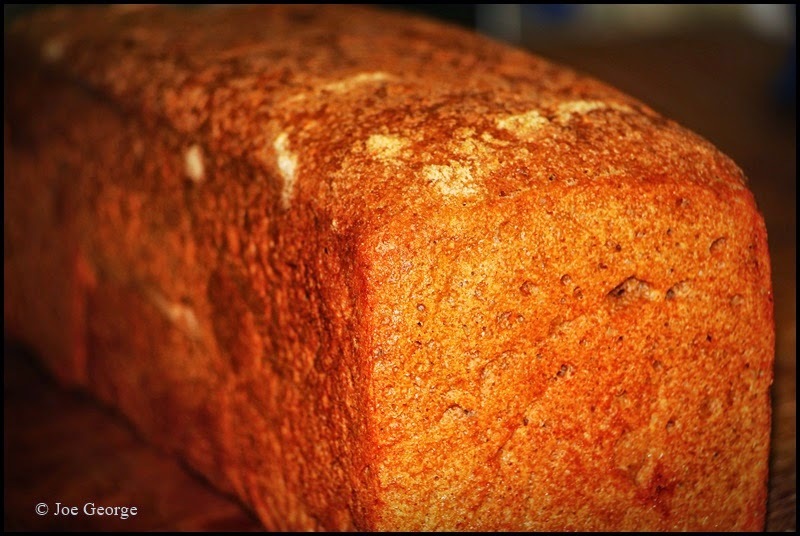 A Pullman loaf is traditionally a white and squishy and soft sandwich loaf. The one that I made--the one pictured--was made using the following recipe. Good and good for you...simple to make, too. I heard a quote recently that said (and I'm paraphrasing), homemade bread doesn't take a lot of hard work, just time. And this couldn't be more true.